Hurry – you can win from This gal!!! Wearing Mascara is one of the random blogs I read – she’s HI-LARIOUS! 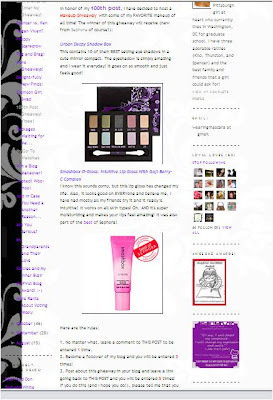 She just hit a milestone of 100 posts and is giving away some fun Sephora finds… check out her blog and you may just win a great prize!! !